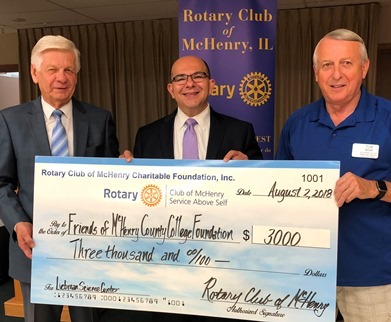 Brian C. DiBona, Executive Director, Friends of McHenry County College Foundation, updated Members of the Rotary Club of McHenry regarding Liebman Science Center at McHenry County College. 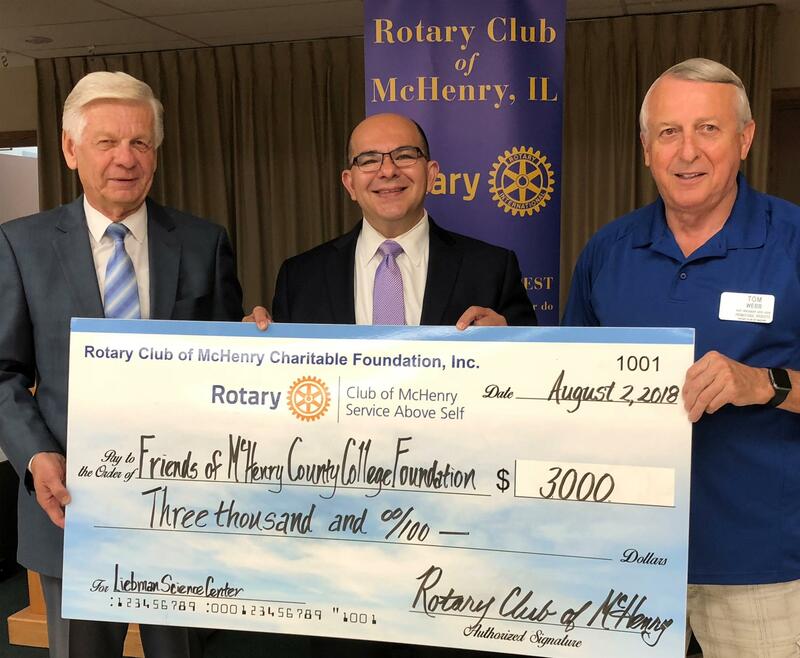 The Rotary Club of McHenry Charitable Foundation, Inc. made a $3,000 donation to the associated capital campaign. Proceeds from Blues, Brews & BBQ’s are invested in our shared community in manners similar to this. Come enjoy Blues, Brews & BBQ’s this August 17, 2018, August 18, 2018, and August 19, 2018 – have fun while benefiting our community. Rotary Club of McHenry Charitable Foundation, Inc.